Located in the Rutherford Industrial Area off Racecourse Rd. Peaks Mini Bus Hire is a family owned and operated business. 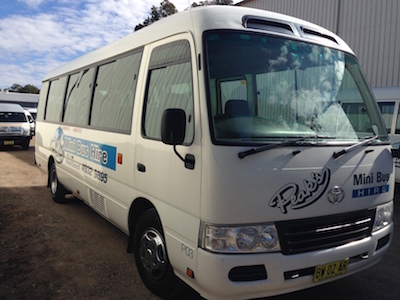 It is one of the leading mini bus hire companies servicing Maitland, Newcastle, Hunter Valley region and beyond. 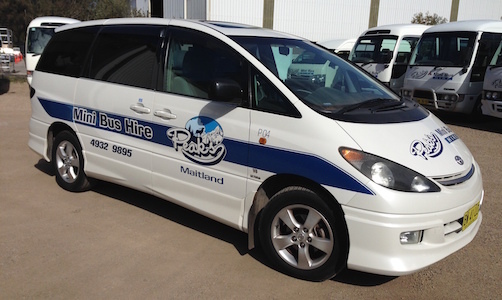 Peaks Mini Bus Hire operates 7 days a week from the head office at the Rutherford Industrial Area, in Maitland – the hub of the Hunter Wine Country. Our mini buses are well maintained, air conditioned and are available for self-drive hire, or we can get you there at reasonable rates. Experience the Difference of Peak’s Mini Bus Hire, friendly and personalised service. Offering flexible pick ups and drop offs,self drive hire or we can arrange transport for you, all at reasonable rates. Peak’s Mini Bus Hire is ideal for corporate hire, airport transfers, sporting clubs, tours of the wineries, Port Stephens, Upper Hunter and Sydney shopping and sight seeing. Peaks Mini Bus Hire maintain all of their vehicles to the highest possible standard, guaranteeing you a safe and reliable transfer.